Beaver Medical Group (BMG) has become one of the first practices in Southern California to acquire new state-of-the-art 3D echocardiology technology. The equipment was purchased as part of BMG’s recent expansion of its cardiology department and cardiac lab, which has greatly increased the number of patients it can serve. 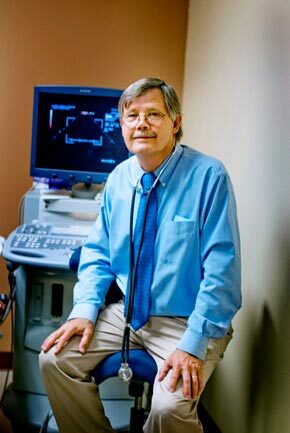 “With the acquisition of this new technology, addition of new treatment areas and the upgrade of our existing equipment, we can offer cardiology patients the most advanced diagnostics available in the Inland Empire in a noninvasive setting,” states Ralph Bonanza, BMG’s Director of the Noninvasive Cardiac Laboratory. BMG expanded the space devoted to both its cardiology department and cardiac lab, resulting in decreased wait times and more convenience for patients. The new 3D echocardiograms will provide extremely detailed ultrasound images of the heart, including its valves, size, function and how effectively it pumps blood flow through the body. The new technology will be used to evaluate patients with known or suspected cardiovascular conditions such as valvular and structural heart disease, and heart failure. It will also provide the potential for more precise images for surgeons to use in optimizing outcomes during surgical procedures. The equipment offers the capability to integrate new imaging applications as they are developed, allowing BMG to keep abreast of the newest diagnostic capabilities over the long term. In addition to the 3D echocardiogram unit, BMG acquired state-of-the-art computerized treadmills that enter exercise stress test results automatically into the patient’s electronic medical record on a “real time” basis. The interface will allow physicians at any BMG office location to access test results electronically, as they are completed. The BMG cardiology department is located at 2 West Fern in Redlands. BMG also offers cardiology services in its Banning facility.